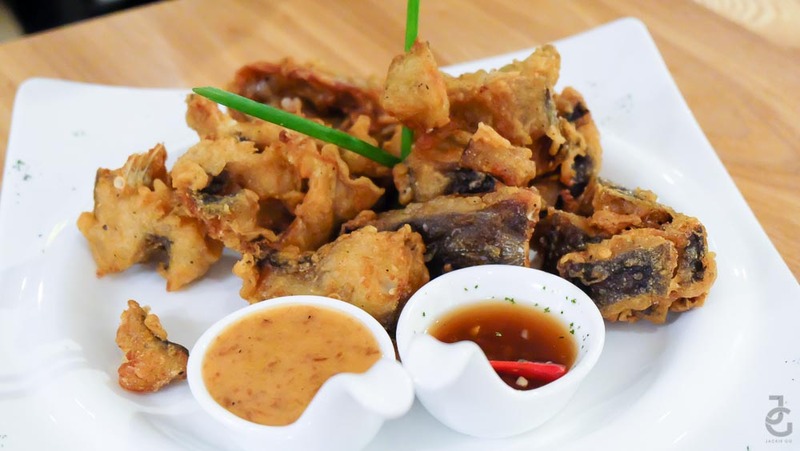 What started as a humble eatery along the streets of Cebu is now making waves to capture the hearts of not only Cebuanos but also Manileños and the rest of the Philippines. 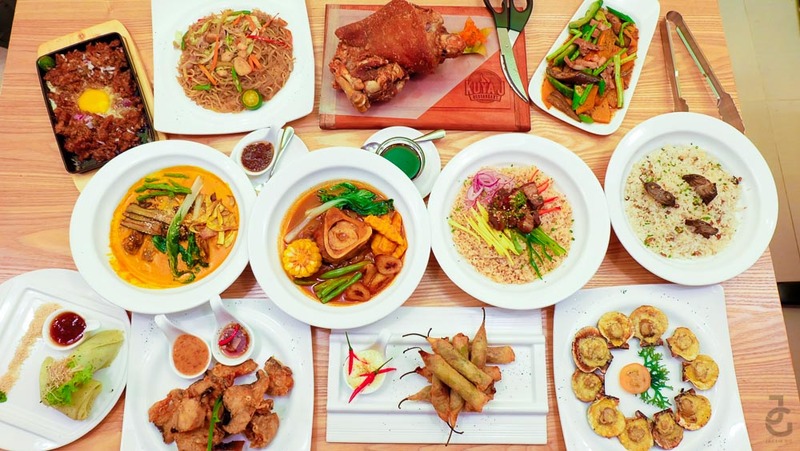 There’s a new Filipino restaurant in town. Everyone, meet Kuya J. 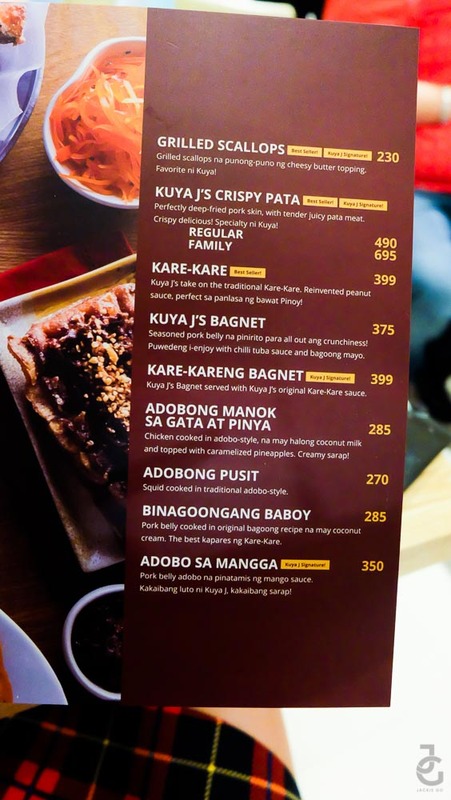 Formerly known as “Ang Kan-anan ni Kuya J”, Kuya J Restaurant opened another store and this time it is conveniently located at SM Megamall, Mandaluyong City. Its mission? To let his customers feel at home and have a heartwarming experience every time they visit. 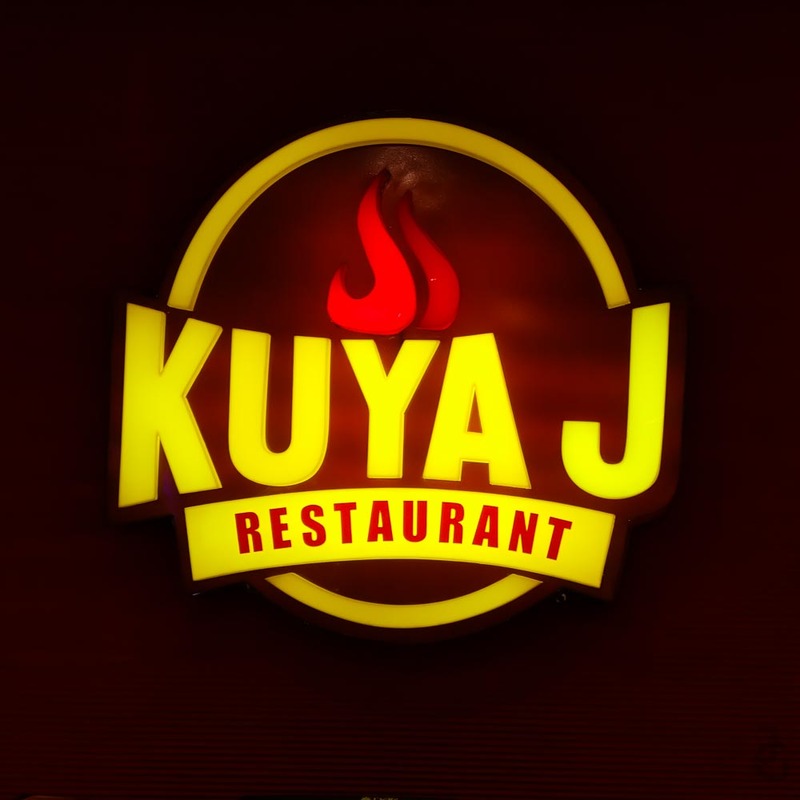 Relaxing and comfortable ambiance makes Kuya J even more inviting. Lucky for me, I had the pleasure of experiencing Kuya J through an intimate launch as they present their best sellers along with their celebrity endorser. 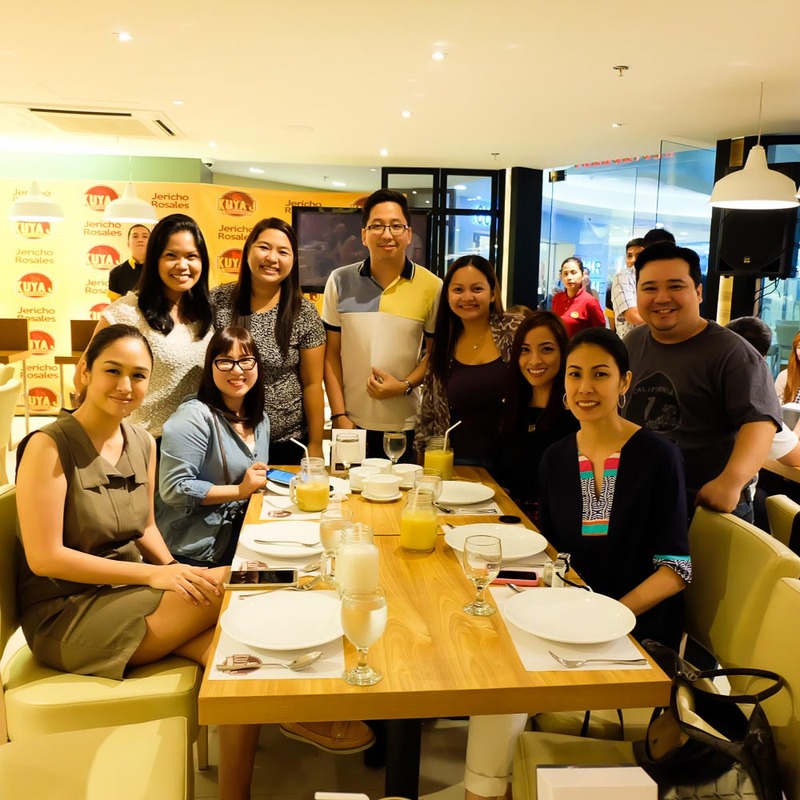 I, together with my fellow bloggers were super excited to try the offerings of Kuya J. Our bellies were ready for the feast! 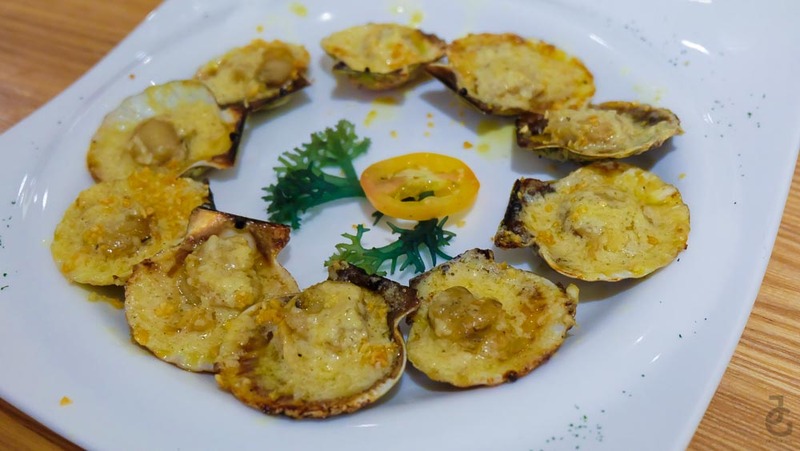 First dish out was Grilled Scallops, P230. The kind of cheesy dish that makes you get second, third, even fourth serving. Which was basically what I did, I almost had the entire plate to myself. Heehee. 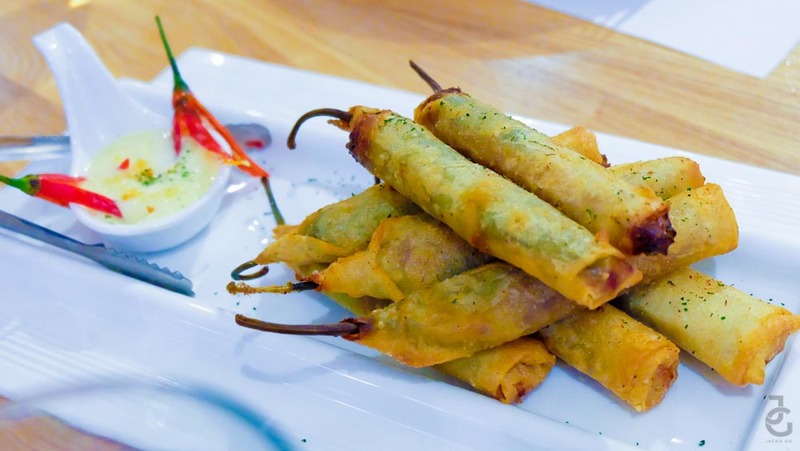 Pastry wrapped jalapeños filled with Cebu chorizo. Best to dip it in garlic mayo for that extra kick. I liked it a lot and it’s probably the best dynamite I’ve ever had! 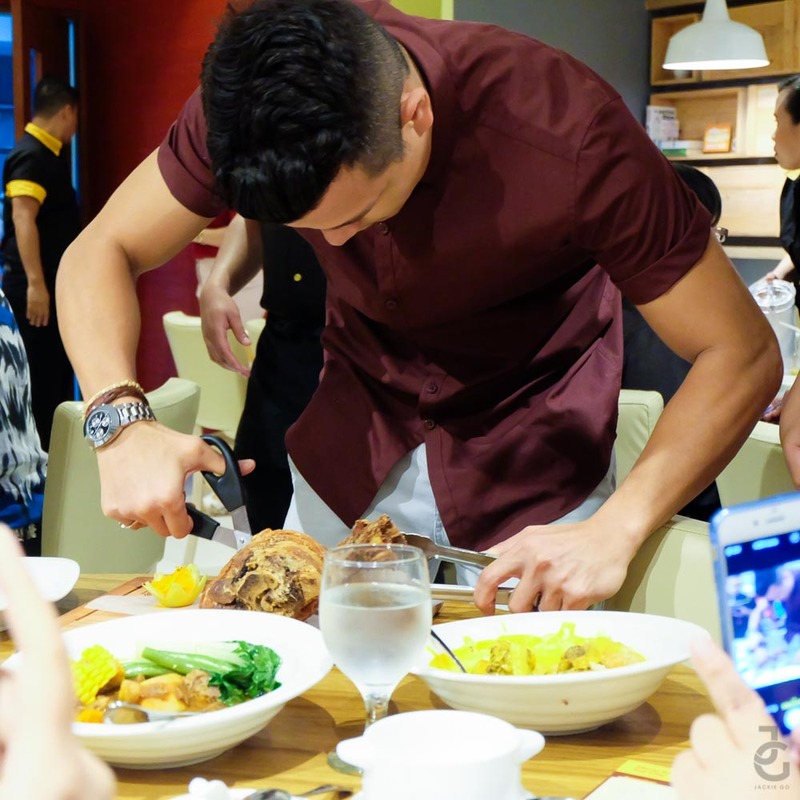 Sam Oh hosted the intimate event of Kuya J that was solely for us Manileño bloggers. 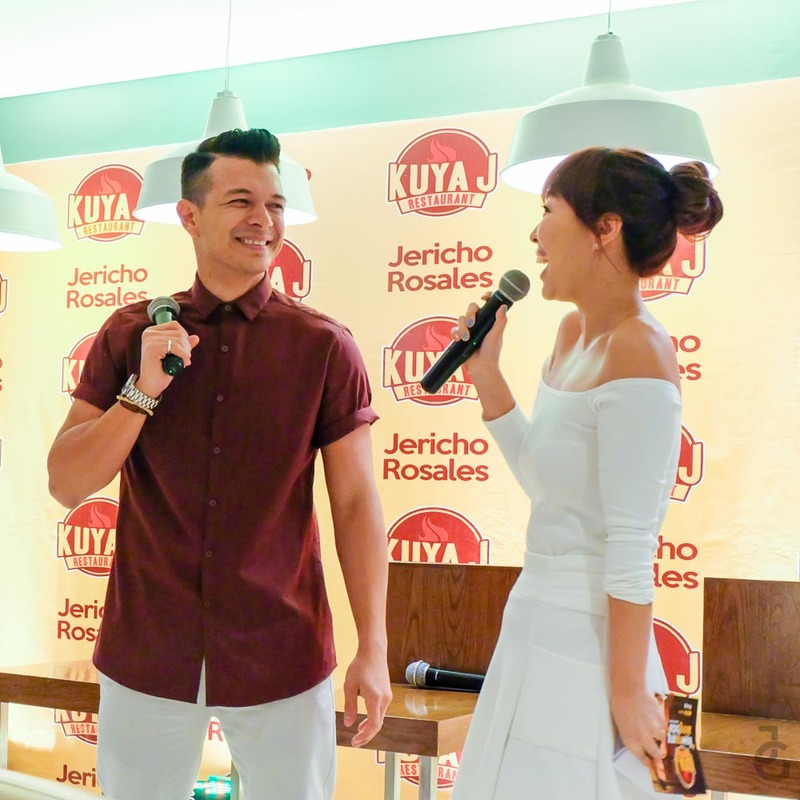 Shortly after, she announced the celebrity endorser of Kuya J, who is no less than Jericho Rosales. He shared how much he loves Kuya J and how it was such a natural thing for him to endorse something he loves. More food came in after Jericho’s entrance, which quite frankly, made everyone pause and stop eating. Heehee. 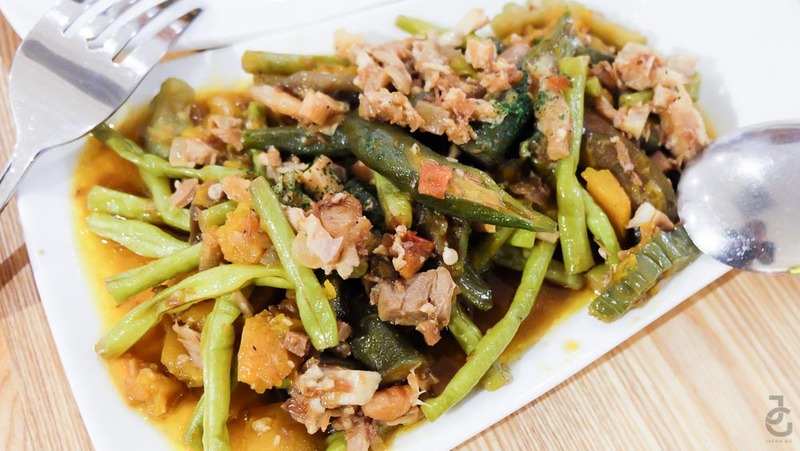 Binagoongan rice topped with pork humba slices, bell pepper and green mangoes. 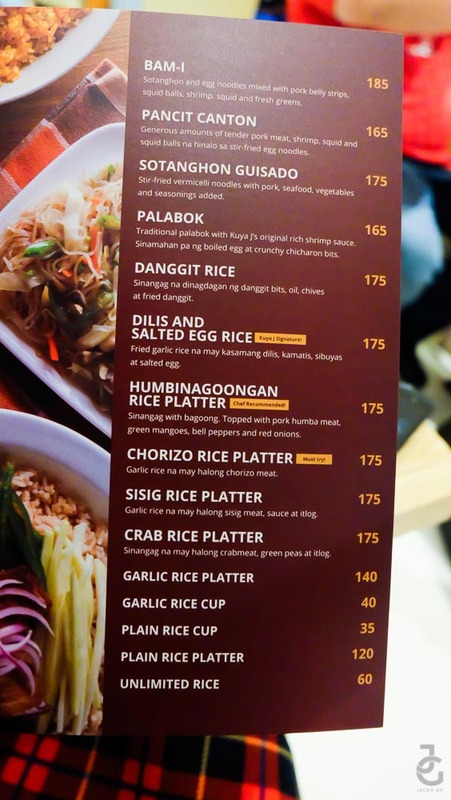 A rice platter is good for 3-4 persons na. I was seated with 3 other mommas- Michelle of My Mom Friday, Michelle of Mrs. Martinez and Kelly of Kelly Misa and yet we managed to eat a hefty serving of the rice platters served to us. Heehee. When they say it’s crispy, they mean it. Although I wish the fillet was boneless so it’s easier to eat. Crispy, crunchy with a kick of hotness. 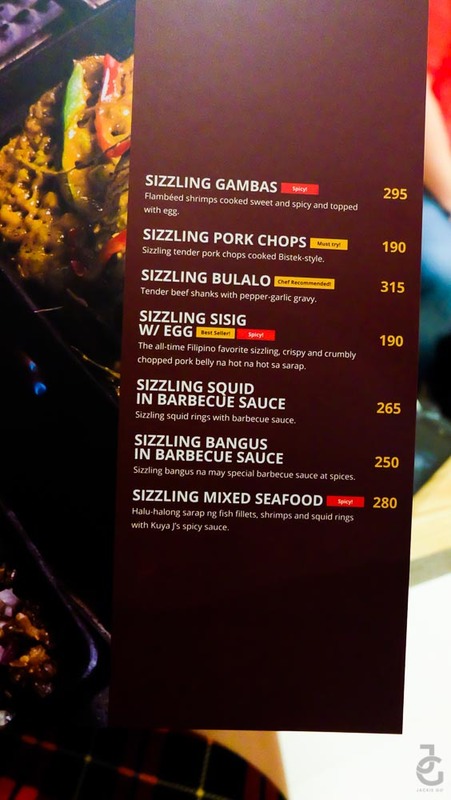 Just the way I like my sisig. It’s made of pork belly and not pig’s head so no piece is really hard to chew. 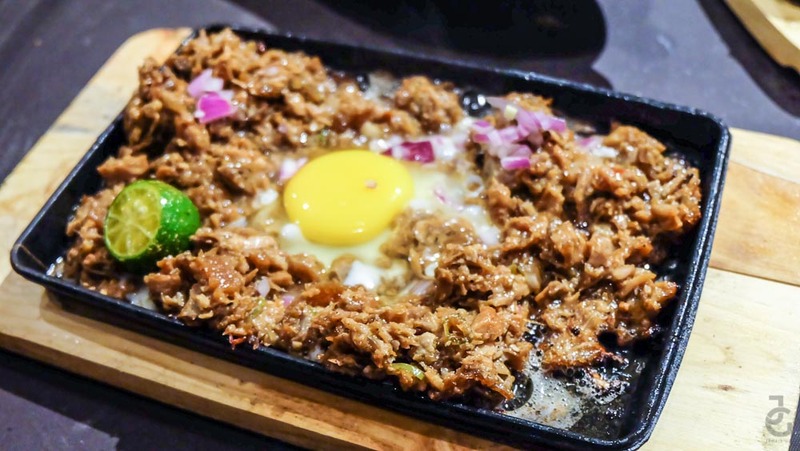 This is the kind of sisig everyone can eat, especially those who aren’t a fan of other pig parts. 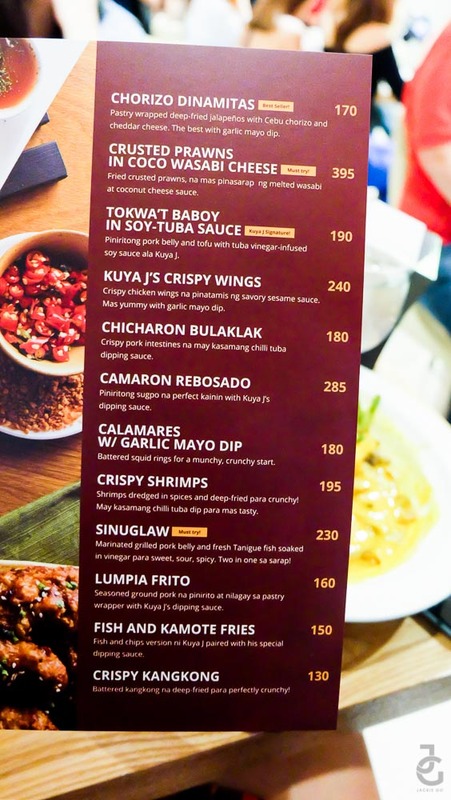 They say the sauce has been reinvented to capture the hearts of many Filipinos who love this dish. 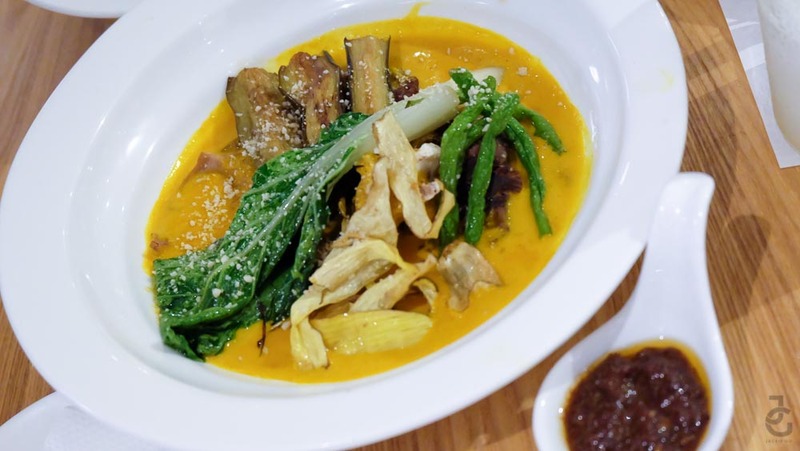 I say, it’s such a good move for this Kare-Kare is one of the best I’ve tried. The sauce is perfect and reminds me of my mom’s version. Peanut flavor was very evident in the sauce and it’s not too creamy which makes it a delight to smoother all over my rice. 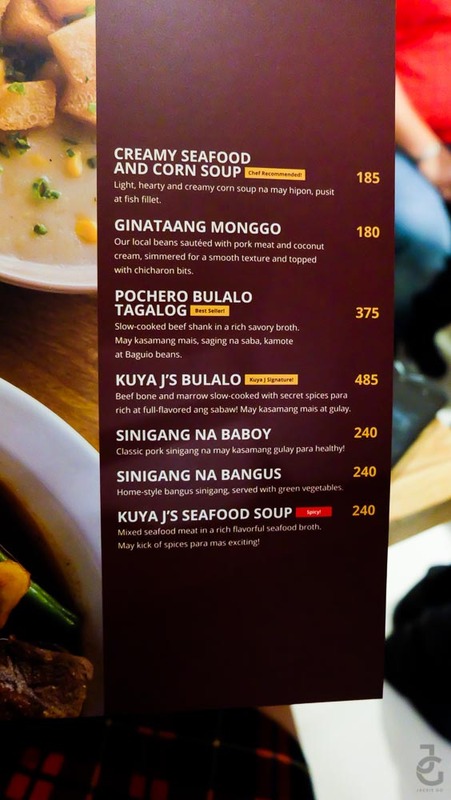 Panalo lang! 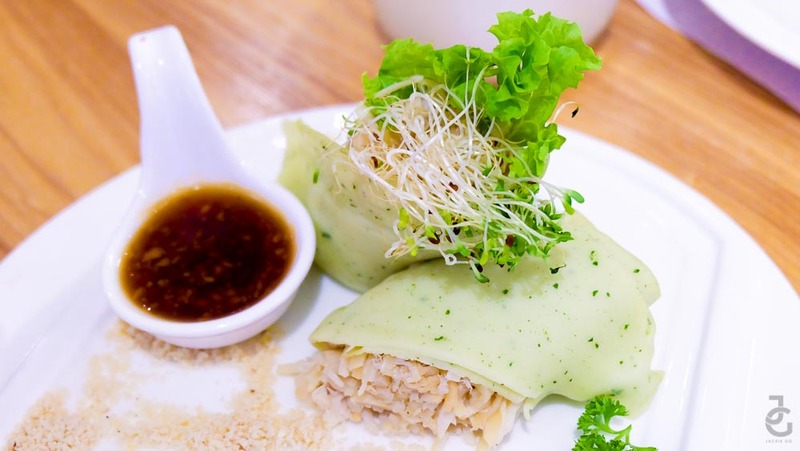 Crabmeat and bamboo shoots rolled in a malunggay-infused wrapper. 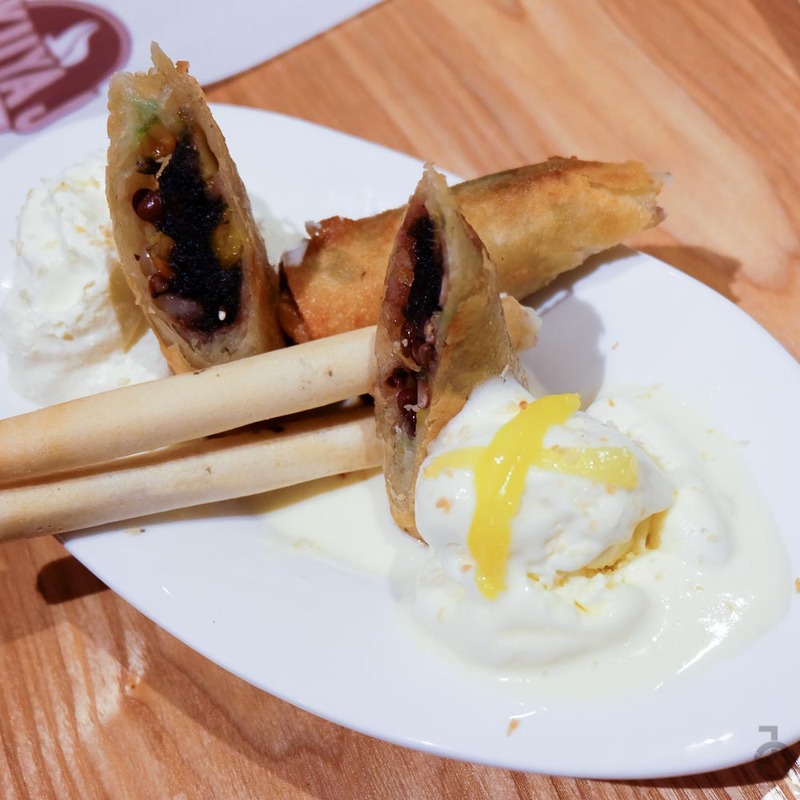 A different take on the usual fresh lumpia dish. 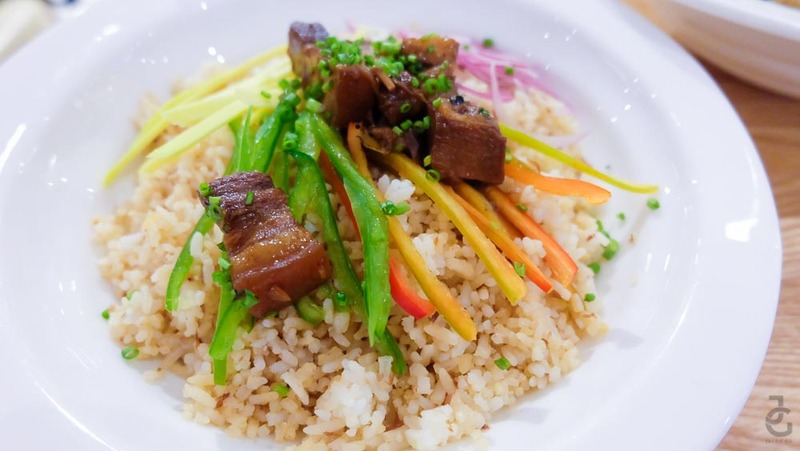 If you’re not a fan of rice but would want a hearty dish then this one’s for you. 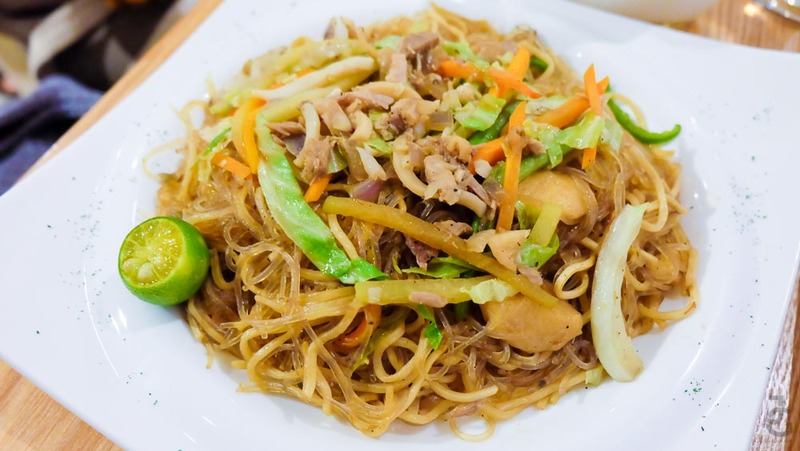 A mix of sotanghon and egg noodles generously topped with meat, squid balls and greens. I’m sure my kids would love this since they love noodles so much. 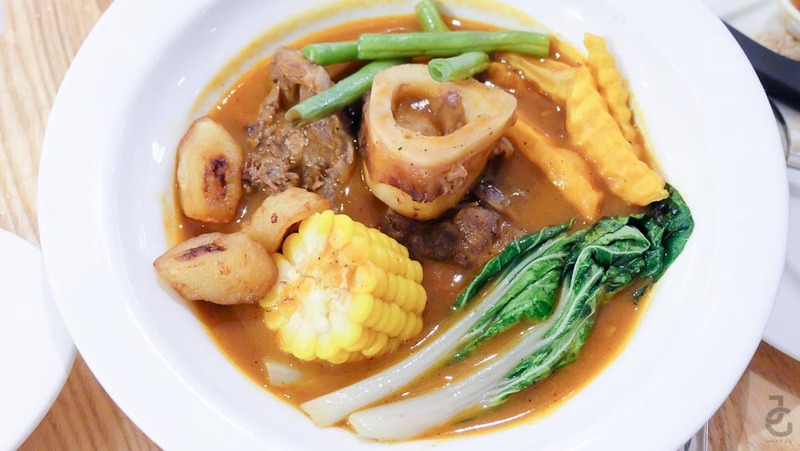 The tenderness of the slow-cooked beef shank and it goes well with the savoury broth. 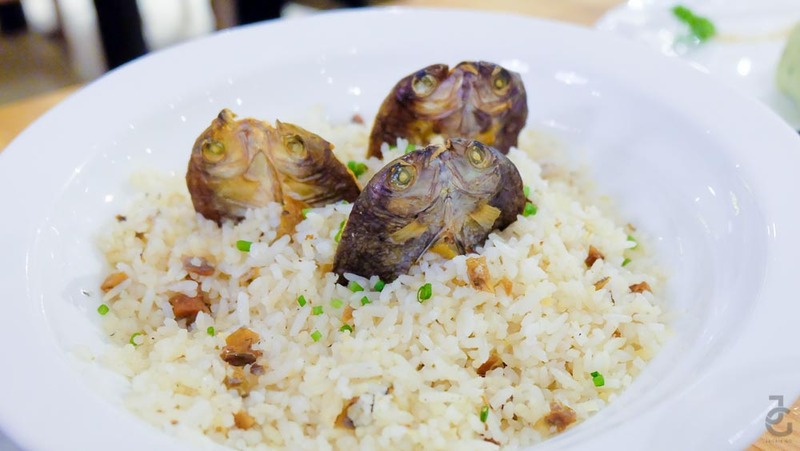 It was a good dish that a family can truly enjoy. 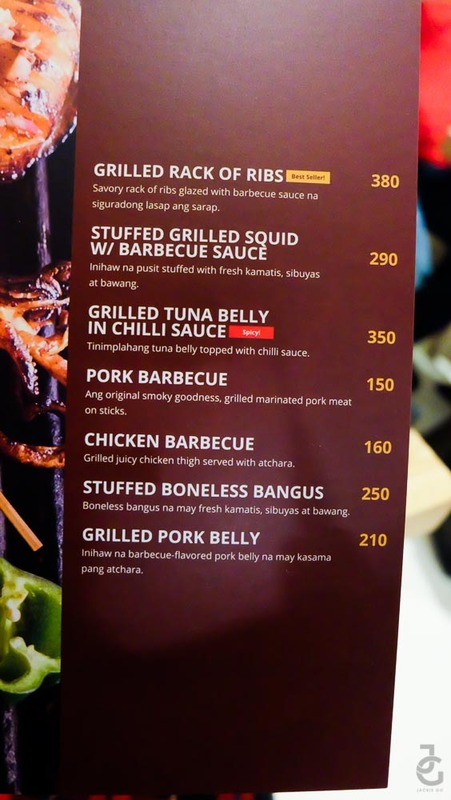 I’ll let Mr. JG try this next time since he loves beef shank so much. The star of the night was presented by the staff along with Jericho Rosales as they paraded their way to each table. 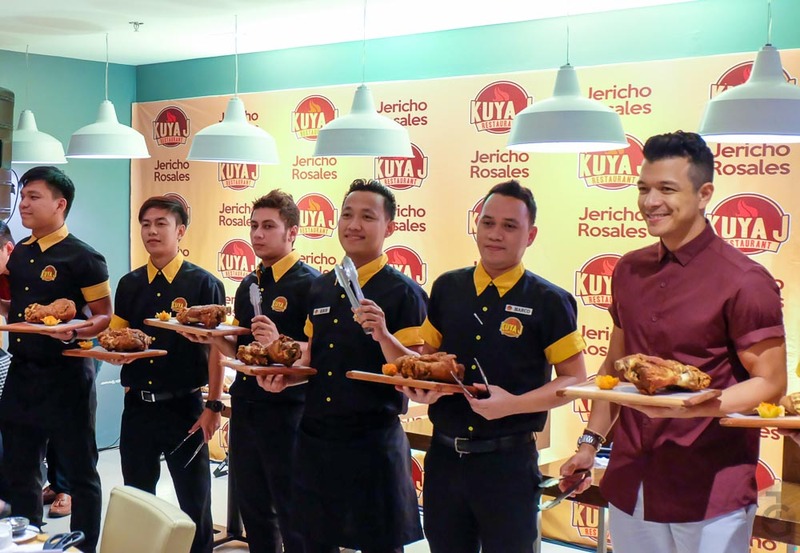 Here’s Jericho serving one table their famous Kuya J’s Crispy Pata. 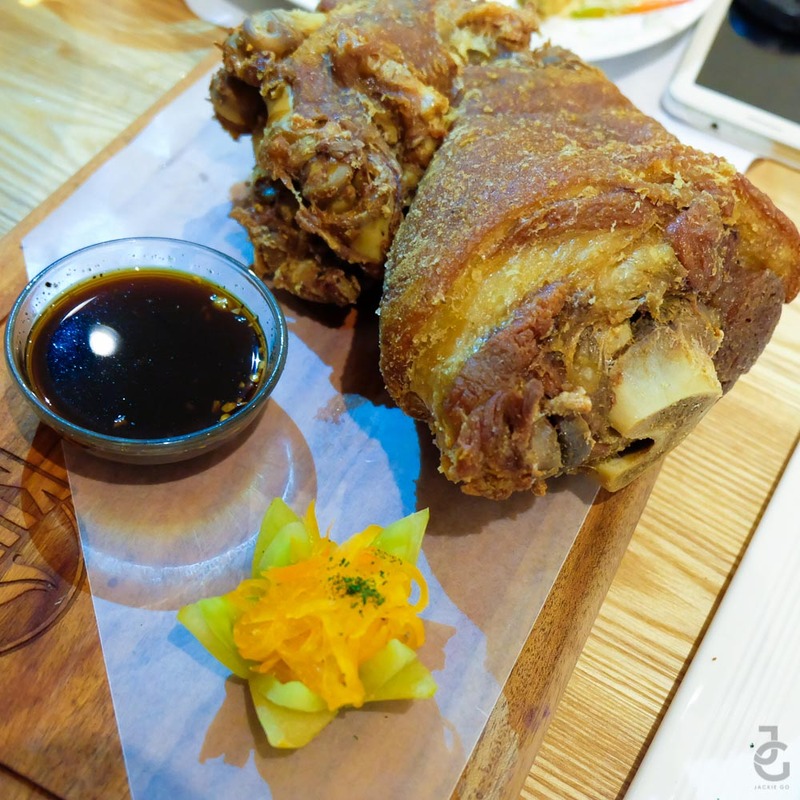 Kuya J’s Crispy Pata regular P490, family P695. Crispy on the outside, soft and chewy meat on the inside. Just the way it should be. 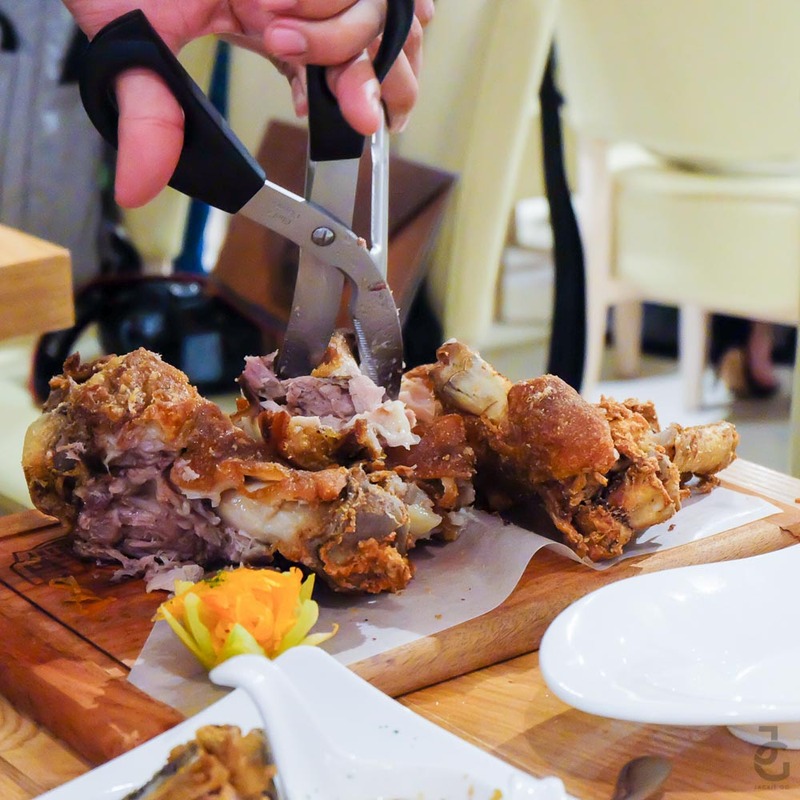 My table mates and I enjoyed the feast and we all agreed how Kuya J’s Crispy Pata is such a specialty that one must order it. As if we weren’t full enough that they had to serve dessert too. 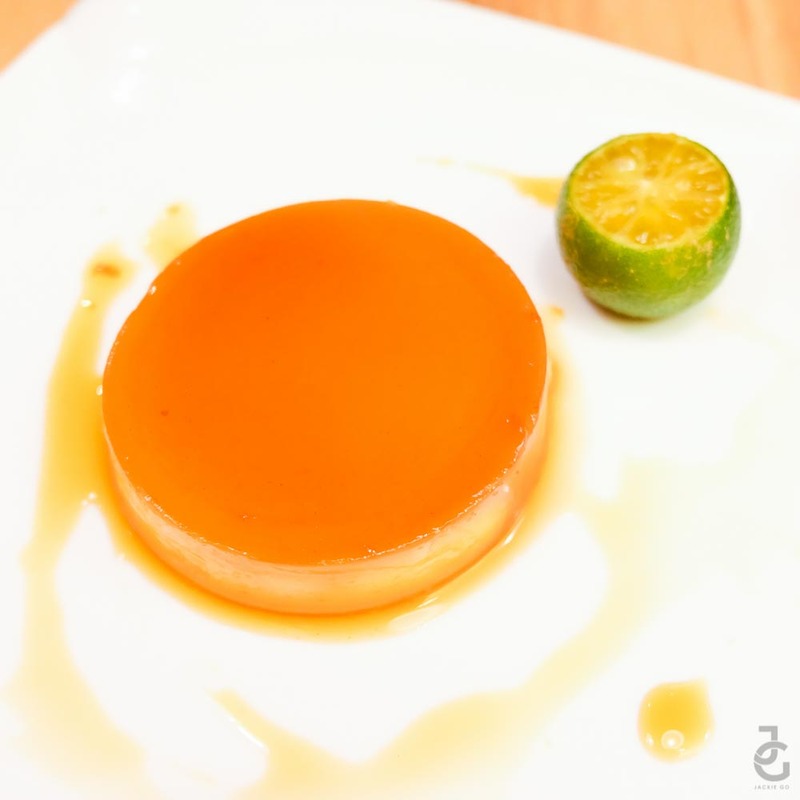 Of course I didn’t pass on it because I love dessert and I cannot wait to try Kuya J Mango Pandan. Kuya J Mango Pandan, P80. I inhaled this dessert in 60 seconds. 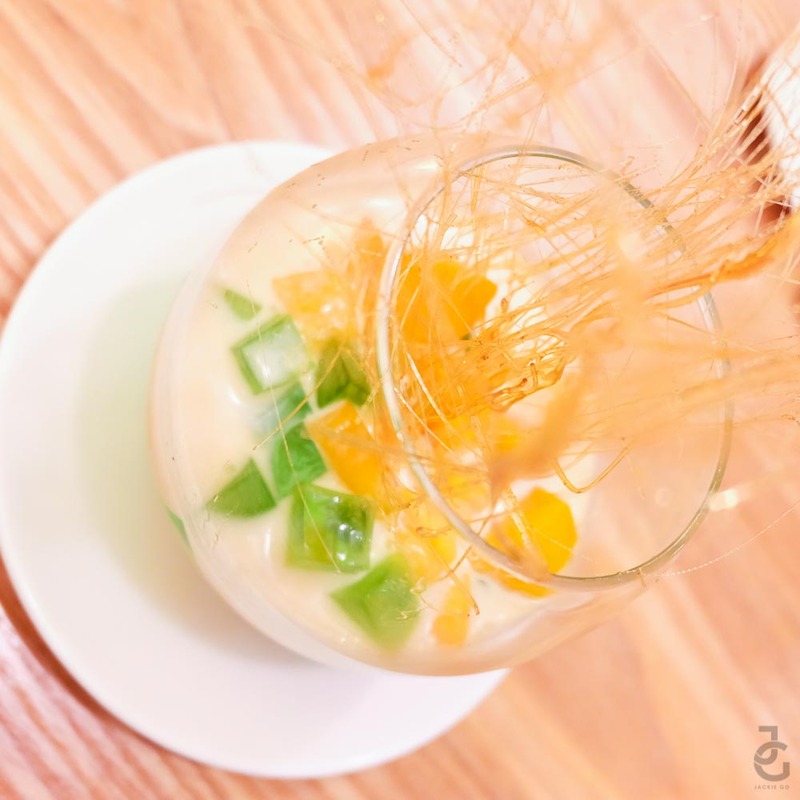 The fusion of fresh mango and pandan gulaman for me is the perfect panghimagas after all the delicious food we ate. You have to crush and mix the crystalized sugar on top of it first so you get to experience the dessert fully. 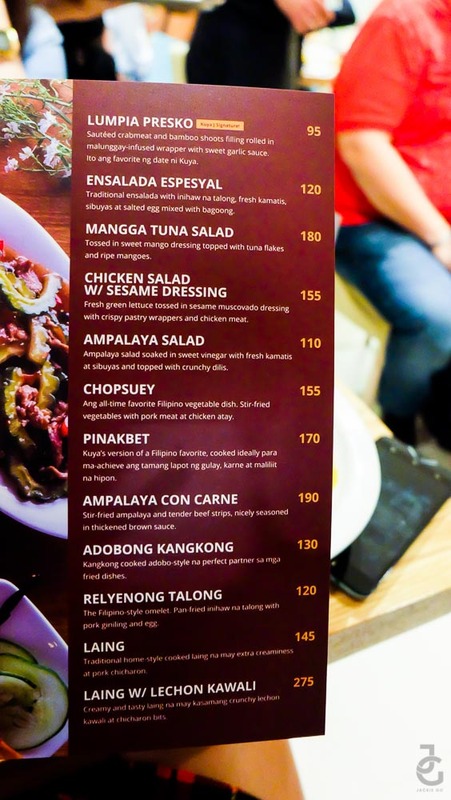 This is something I will order over and over (again) pwede din take out. It’s definitely one of my favourites from Kuya J! Batangas table with coffee caramel topped with coconut shavings. 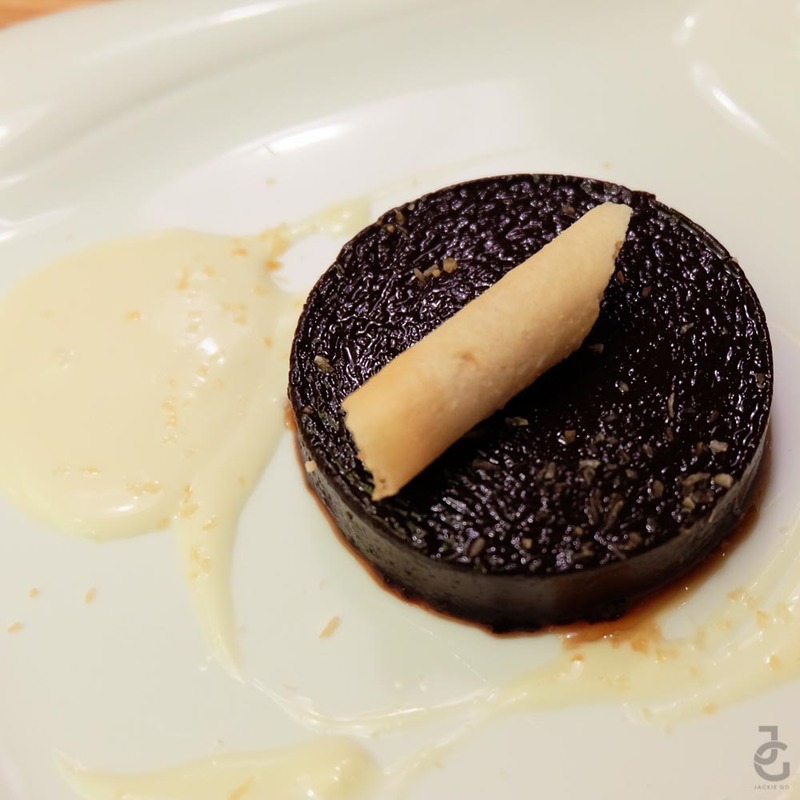 This is for all the chocolate lovers out there. 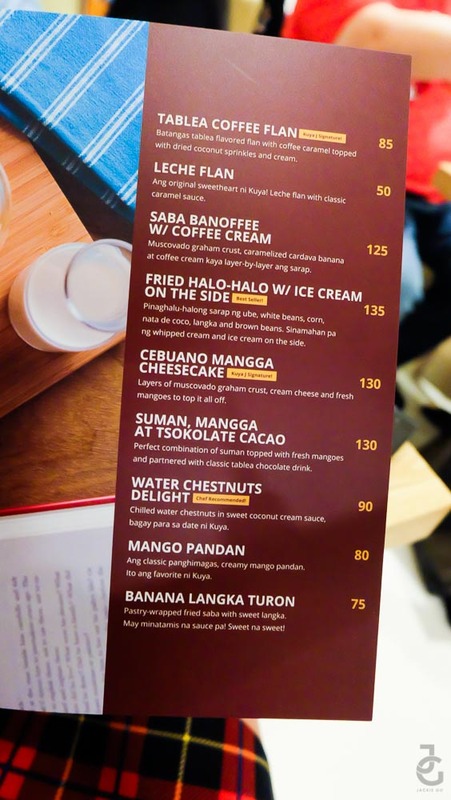 Fried Halo-Halo With Ice Cream On The Side, P135. 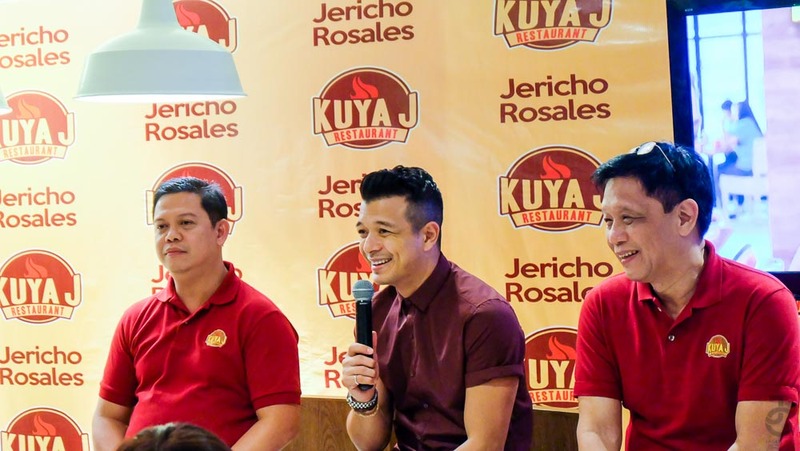 The men behind Kuya J restaurant Mr. Danny Pumarega, iKitchen, Inc. Chief Operating Officer and Mr. Winglip Chang, iKitchen, Inc. President along with their celebrity endorser Jericho Rosales. 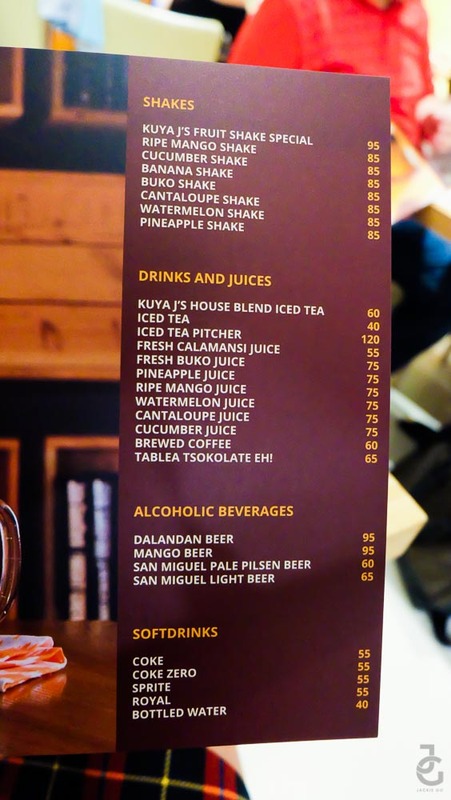 Here’s Kuya J’s complete menu for your reference. Here’s what we ate during the launch. 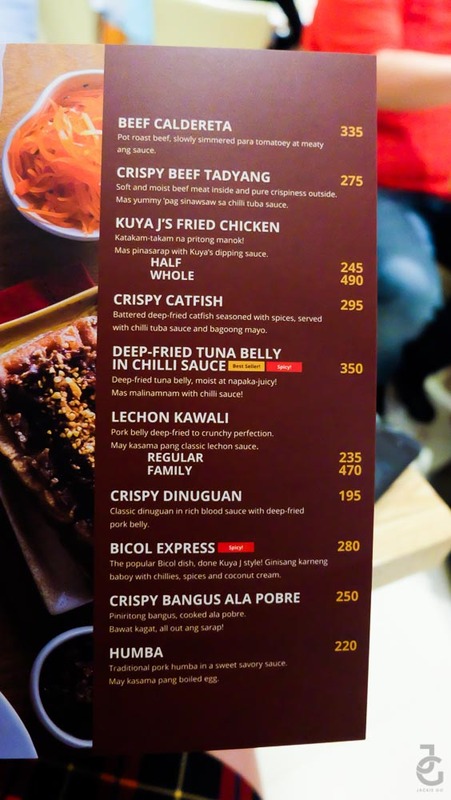 Ang sarap talaga ng pagkaing Pinoy! Congratulations again Kuya J for the successful launch. 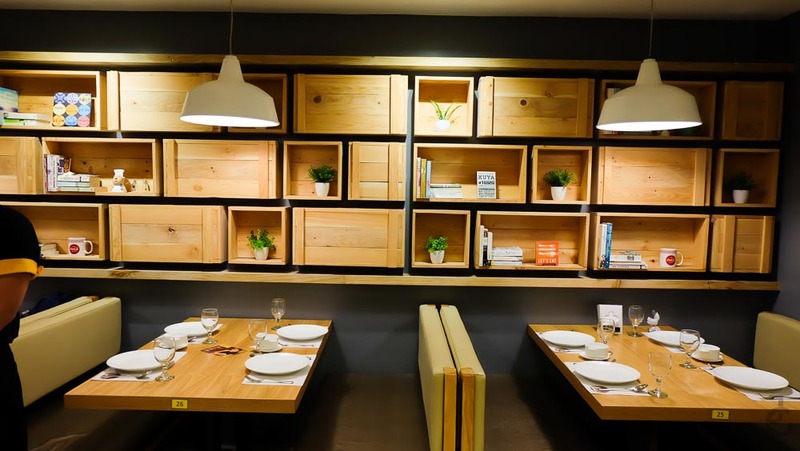 I am definitely going back with my family as I’m excited to let them try your best sellers and I’m excited to try the other dishes on your menu. 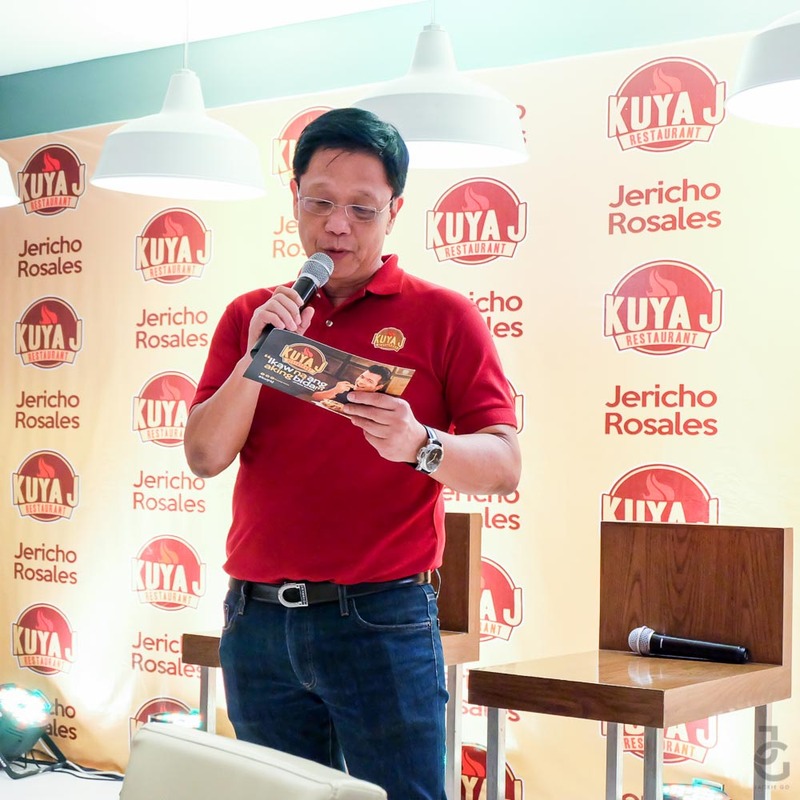 Everyone can expect more from Kuya J, as he continues his plan of opening 50 branches by the end of 2015. Yay! Thanks for the photo Michelle!